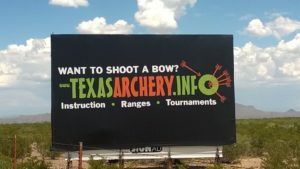 Donate to help support the growth of archery infrastructure in Texas! 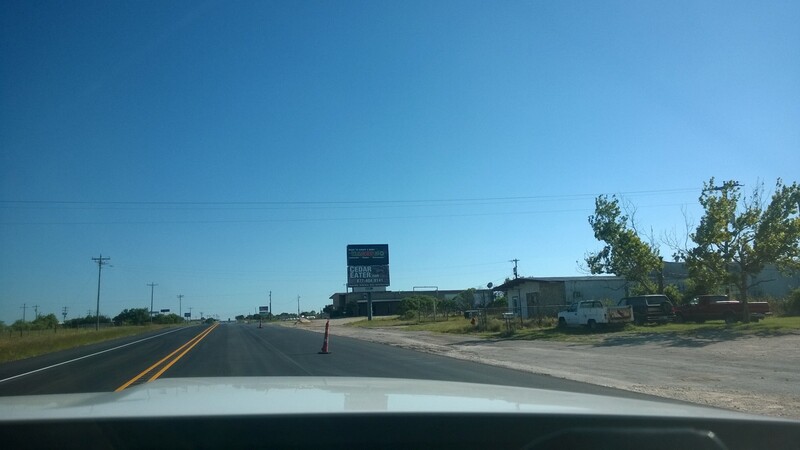 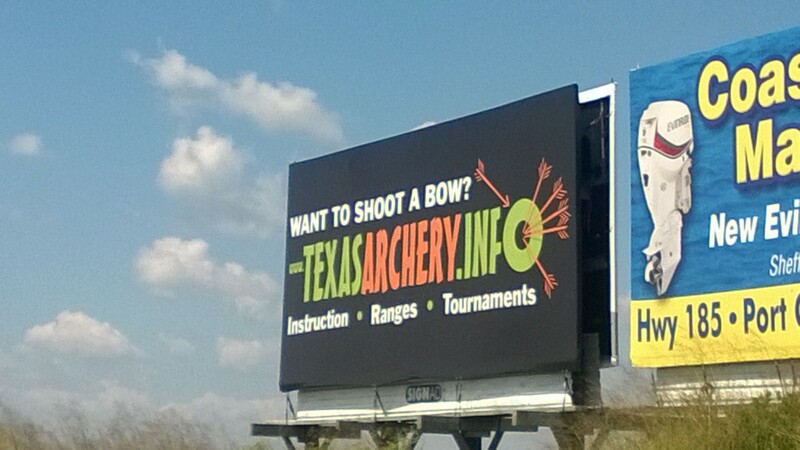 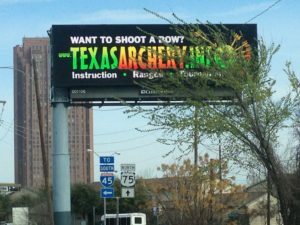 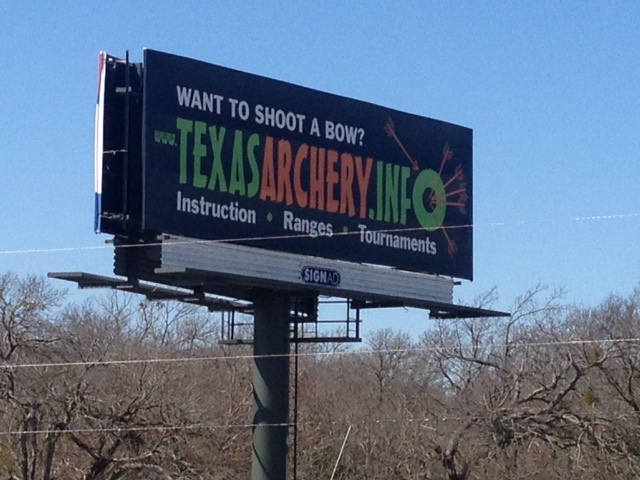 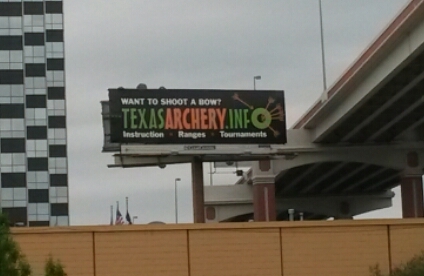 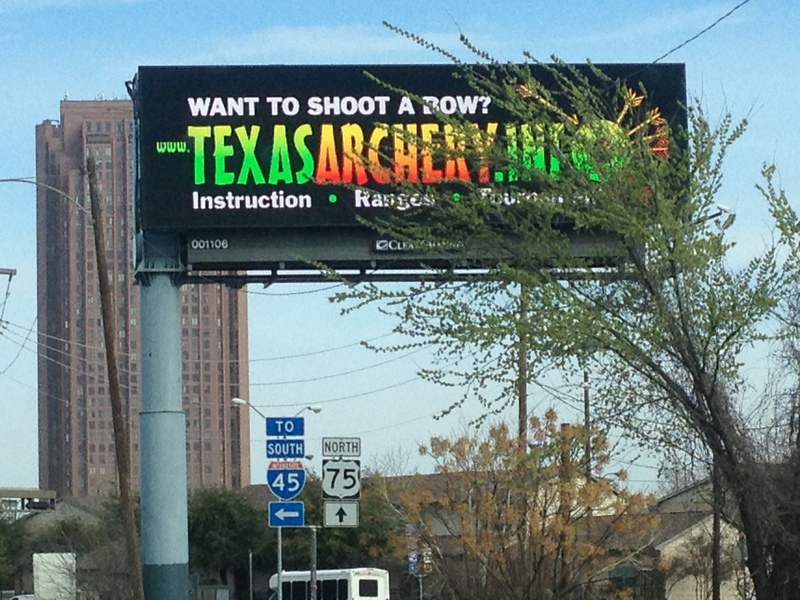 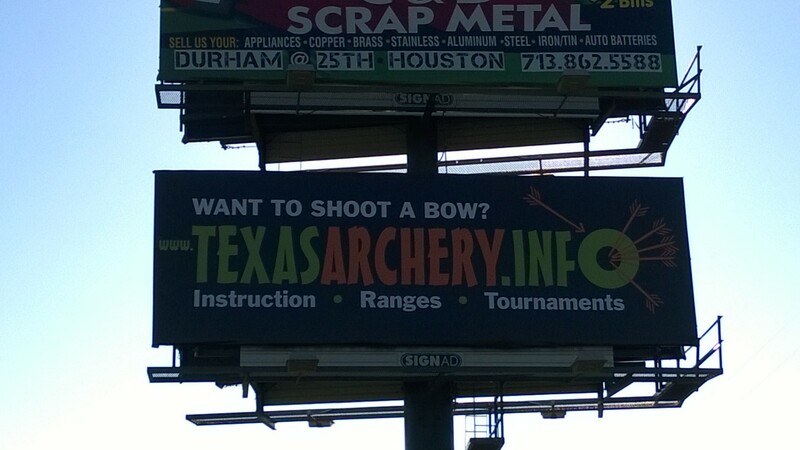 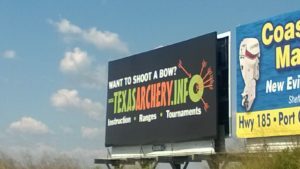 The billboards are part of FREE marketing campaign to promote Archery in Texas. 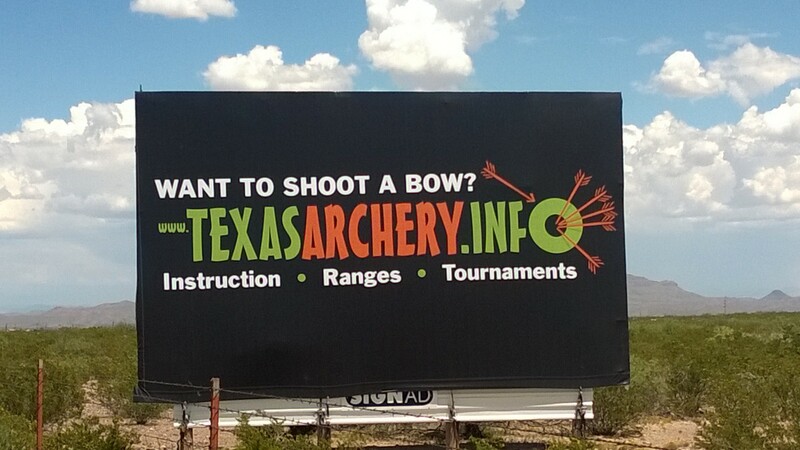 Supported by our Archers Passport free App to give the public resources on ACCESS -information on lessons, clubs & pro shops! 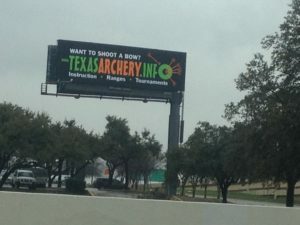 Billboards cost us a minimum of $150-$500/mo. 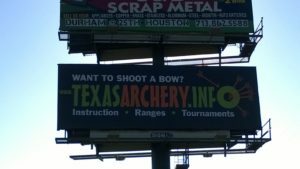 We are on the major interstates.